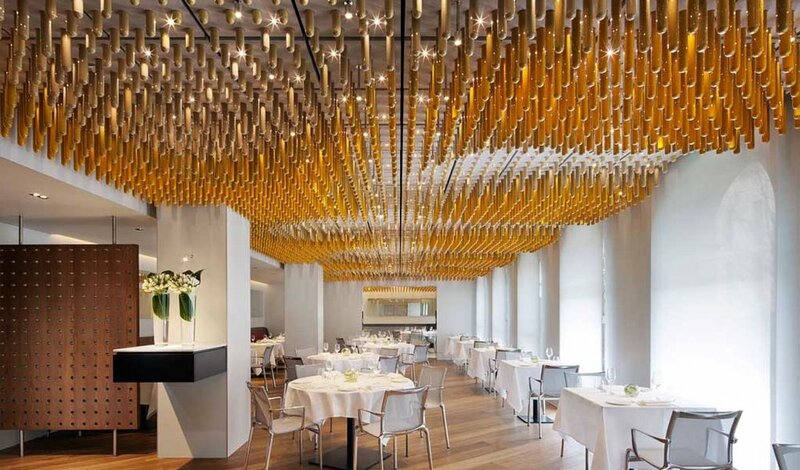 Located in the discretely luxurious Halkin by Como hotel in London’s rather posh Belgravia neighborhood, understated elegance is just what one would expect in a highly lauded Michelin-starred restaurant—and fortunately Ametsa delivers. 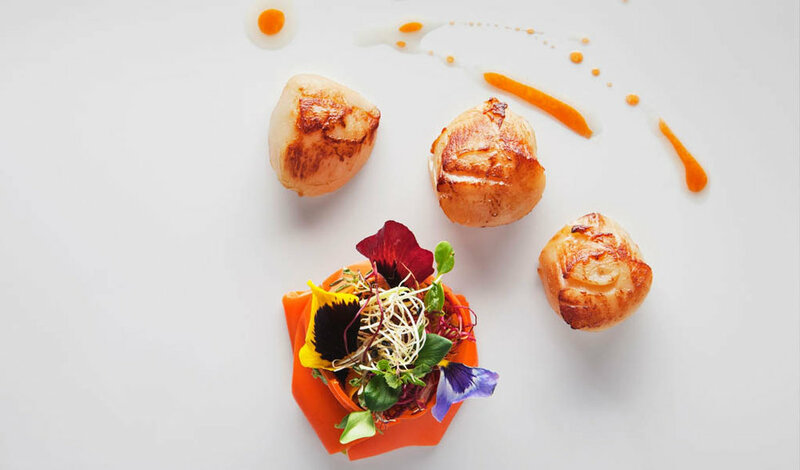 The brainchild of Elena Arzak, the third generation of culinary brilliance behind triple Michelin-starred Arzak in San Sebastian, Ametsa brings the vibrant flavors of the Basque region in Northern Spain and reinvents them in London with some creative nods to molecular gastronomy. The menu evolves regularly in order for the chefs to take advantage of the freshest local seasonal ingredients and transport the diner with Basque cuisine inventively reimagined with dishes like the perfectly seared scallops “at home” or buttery melt-in-your-mouth seabass with a rich garlic emulsion and celery “illusion”. The dining room’s focal point is a shimmering avant-garde ceiling crafted of 7,000 glass receptacles filled with herbs and spices, but the loveliest artwork in the restaurant is on the plates. Happily, the plated artistry tastes as good as it looks. Try the chef’s tasting menu at Ametsa and relax in the hands of a highly skilled and attentive wait staff along with a gifted sommelier to elevate the experience with thoughtful wine pairings.